You can't embrace change any faster...can't make time for the synergy training workshop...can't deal with one more change management seminar. So stop changing. Evolve. Evolution can be unleashed in your organization, effortlessly and gradually changing everything in its path. By teaching your company to "zoom" -- embrace change without pain -- you'll have a company that evolves and ultimately attracts people who drive it to evolve even faster. Here's practical advice on how to make the chaos we all must deal with an asset, not a threat. 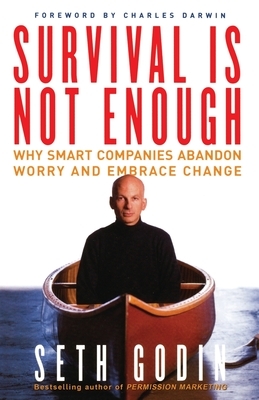 Tom Peters Seth Godin, one of the world's most original thinkers, offers us a manifesto for change and growth. A landmark effort, equally valuable for individuals and enterprises.